Passionate adjusts its layout based on the device it is being viewed on. This means the theme’s content will be easy to read and easy to navigate whether it is being viewed on a desktop computer, a tablet or a mobile device. 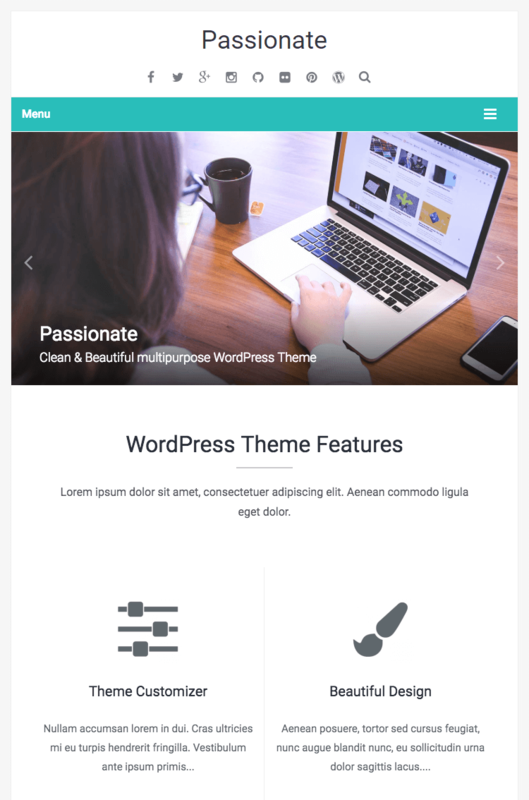 Passionate gives you the flexibility and ease of use to display your content the way you want it without altering any code with our custom widgets. Choose the boxed or wide layout as you like. This will reflect in whole site. Both layouts support background color and backgroud image feature. Build an extensive home page with various useful widgets in it. These are : Image Slider, Service, Logos, Recent Post, Testimonial, Call To Action, Recent Works. 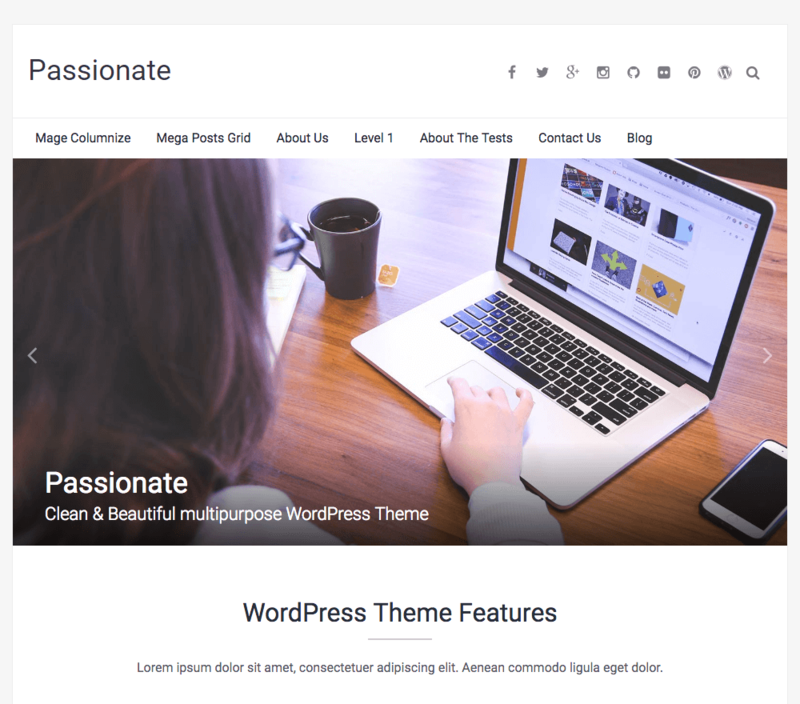 Passionate comes with two sidebar options: left or right. It is easy to choose in customizer settings. Includes bunch of Social Icons that can easily be integrated on the top header bar. These icons will help you to connect with your social profiles. Passionate is a free theme. Please only purchase the FameClub if you want our paid themes too.